If you can believe it is December, and so far good news we have not seen any sign of winter weather. Great sunny days in the high 50s have allowed the fair weather golfers to play longer into the 2015 season. This is a great time of year to ask your friends or family for the gift of golf for the holidays! Popular winter gifts annually have been Player Development Cards which is a unlimited driving range membership, golf lesson packages, and of course gift cards that are good for anything at the course. The course is open from 8am-4pm to purchase any of these items or you purchase over the phone. 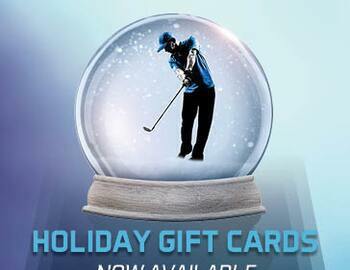 What is better than giving the gift of golf? Hope everyone enjoys this great winter weather we have been having this year!